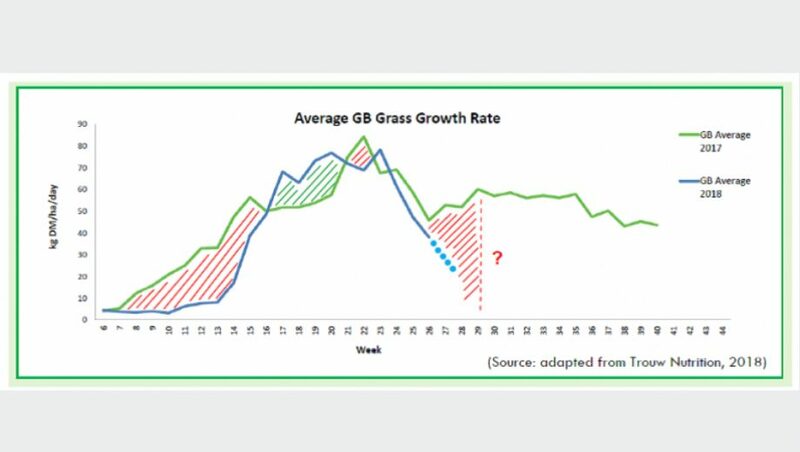 The below graph shows the red shaded area being larger than the green shaded area, the reduced grass growth against last year can be clearly seen Until significant rain fall is received future grass growth rates are likely to be closer to zero. HOW CAN HJ LEA OAKES HELP? A cost effective fibre source for including in TMRs and cost effective alternative to straw (also requires no chopping). Can be used in Dry Cow diets; young stock diets when mixed with some grass silage. Available in Artics Tipped or Walking floor loads only. Source a wheat crop which can be clamped as Whole Crop or Alkalage – check your crop’s maturity for the best choice Switch your youngstock to straw or oat husk based diets to preserve available grass and silage for milking cows.